In a typically breezy, highly readable and highly informative blog post (Bronte Capital: Daddy you are more evil than I thought), hedge fund manager (and friend, for the record) John Hempton writes an at once amusing and illuminating description of what he does and why he does it, to the admiration/horror of his son. (John leaves out the ‘how’ he does it, but I can tell you it is the ‘how’ that makes John so good). However, by summing up his work in the manner he does such that it generates his son’s amusingly alarmed reaction (quoted in the title of the piece), John, I think, diverts attention away from the real underlying issue that anybody who plays on both sides of the investing fence faces when considering going to the press or to the authorities with negative information about a public company. The real underlying issue is this: the downside of going public with damaging information on a public company, even if that information could bring down a bad guy and stop the bad guy from doing damage to other innocent investors down the road (e.g. Robert Maxwell, whose favored broker was Goldman Sachs, as described here), is so much greater than the upside that it makes no sense (in America, at least) to bother. So you just keep your mouth shut. 2) Getting ignored (or worse--see David Einhorn's grim experience with the unintended cost of being right in "Fooling Some of the People All of the Time") by the Feds. Now, what is the upside of going public? Well, the upside is you may ultimately be proven right, and the bad guy may go to jail, in which case the investors and shareholders and analysts and investment bankers who hated your guts during the process and wanted to see you die because it was you (not the bad CEO) who was destroying their company, will finally admit you were right and shower you with kisses—no, wait. They will still hate your guts. In fact, they’ll hate your guts even more, because they will perceive that it was you who brought their company down. After all, without your efforts the fraud they were profiting so handsomely from would not have collapsed. They’ll think, in fact, that you’re evil, because, as you will learn the hard way, scammers never, ever admit culpability: they blame short-sellers on the way to jail, in jail and out on parole. So, to summarize: Upside to doing the right thing by going public? Zero. Downside? Financial ruin. Still, while the bad guys John has exposed (and there are more than a few) may agree with the title of his blog, his investors (I am not one) would probably say that John Hempton is way less evil than his son fears. While John rues that the SEC has gotten better at its job (a low hurdle, admittedly), the recent passage of the JOBS Act suggests that he will have plenty of new opportunities before much longer. I'm surprised he didn't mention this. The JOBS Act wasn't in place...and yet Groupon happened right in front of everyone's eyes. The JOBS Act wasn't even dreamed of, and 3 of the 6 biggest brokers disappeared in 2008-9 despite the fact that every one of those CEOs and CFOs signed off on their financials in accordance with Sarbanes. I like the JOBS Act. Sarbanes killed the small company IPO market--ask any legit CEO of any legit small company. And if more scam-artists slip through the pre-IPO net, let the short-sellers do their thing without fear of retribution, lawsuits, and the Feds unilaterally halting short sales when the going gets tough. Let the market work on both sides. I agree with the general sentiment and logic of your post, but saying "Upside to doing the right thing by going public? Zero." is taking it too far, I think. High profile shorts like Enron (Chanos), Lehman (Einhorn), Chinese frauds (Muddy Waters, Citron and Hempton), housing (Burry, Bass, Paulson, Falcone etc), China and PIIGS (Hendry) can make you instantly famous, which seems to have some value especially to guys who don't sell themselves short. Last time I checked Chanos is still usually being introduced as the guy who shorted Enron, and that was nine years ago. I suspect there is at least one more downside risk to the 2 you mentioned. One important one that comes to mind is that if you go public with your short, you are a target for those on the other side of the trade who may have more gunpowder than you and may deliberately try to squeeze you out...which I imagine is illegal but difficult to detect, and even more difficult to enforce. in the targeted company's stock price (this is of course assuming there is a positive feedback loop that is propping the stock). Why else would short sellers go public? It seems to me that many short sellers who go public with their short theses are fully aware of the downside risks you describe, yet they must consider that the overall risk/reward of going public is more favorable than you suggest. My suspicion is that the smart n seasoned short sellers go public when certain criteria are met, e.g. situations where a company is ponzi-financed (in the Hyman Minsky sense). Your thoughts on the above-mentioned (as always) would be appreciated. Both Michael M and LongShortTrader make good points (although it is not "illegal" to squeeze a short, unless one is doing it the Robert Maxwell way--i.e. by raiding the company pension fund to prop up the stock). There is, indeed, an upside to drawing attention to one's idea: the problem being that one then becomes a target for many guns, which, now that trial lawyers run the country, means that you face the distinct and very real risk of losing your business even though you were right. So in that sense, the upside is not what it seems, which is the real point I was making. You and I come from very different worlds. Based on my background as a criminal, I respectfully cannot agree with you on the JOBS Act. It will make crime easier, there will be more white-collar crime, and regulators will not have the resources to investigate and prosecute such crimes. Old saying among criminals, "If the door is open, walk through it." However, I do agree with you that we need stronger laws to protect whistleblowers from retribution by fraudsters. The JOBS Act empowers white-collar criminals, while it does nothing to empower and protect whistleblowers who seek to expose their crimes. Sam and I go way back, and I respect him immensely for what he has done post-Crazy Eddie to make amends and open investors' eyes to what bad guys will do to take advantage of the system. I won't argue with him about the JOBS Act: I think a remedy lies in dealing with the systemic problem in America, which is that trial lawyers run Congress and our legal system has become a tool to shut down dissenting voices--on Wall Street, in healthcare, in government. Whistleblower laws are fine, except they encourage lawsuits rather than correct behavior. As Shakespeare said...and he was right. How do you correct behavior? Or said differently, what seems to work more than not, and what does not work at all? I imagine that even among the most ardent short sellers, it is nice to see crooks/fraudsters/etc. redeem themselves, aim to 'make things right' for victims, and...eventually give back more than they have taken from others. I like reading the Bronte Capital blog and I think that John Hempton has generated an impressive (albeit short) track record. 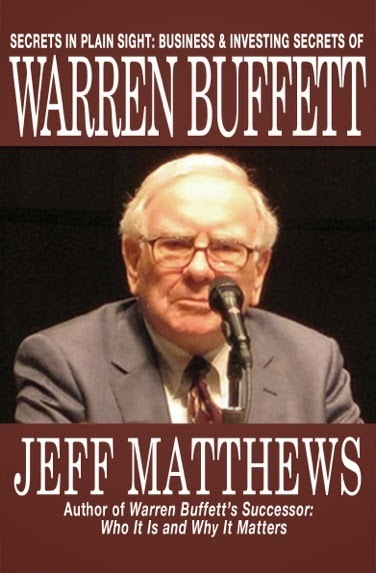 However, his desire for publicity is self-serving in a number of ways: 1) by exposing frauds, he hopes to improve the performance of his short book; and 2) more generally, he is raising his own public profile which ought to help him raise money which, as a professional funds manager, is critical to the success of his business. Another thing is that John is a former public servant. As such, I expect we would have been well schooled in the art of rationalising his actions as being 'in the public good' in situations where, in so many cases, that is merely camoflage for the public servant's self-interest. As a private investor, I am envious of John Hempton's success but, in my opinion, his work on exposing scams is driven by self-interst rather than by the sort of factors suggested in the blog post to which you refer. By the way, I like your blog and I hope you continue to find the time to keep up the good work. Well, yes John can benefit from the publicity in the two ways you describe...but only if he is right on the facts. If he is wrong, he loses both money and (potentially) clients. Furthermore, in John's blog post (Daddy You're Evil) he does not stress the "public good" aspect. He admits it's better if the market in scammers is highly inefficient and the "public servants" are asleep at the switch, as they usually are. My point was that John really downplayed two significant risks involved in going public--risks that keep many others from trying to help those public servants keep bad guys out of the markets. Going public on scammers just ain't as easy, fun, profitable, risk-free as it might look when you see the occasional Jim Chanos bag an Enron. Thanks for your well written, thoughtful comment. "Blessed are those who hunger and thirst after righteousness, for they will be filled." Seems to apply surprisingly well to this post. Augusta National Golf Club: What Would Warren Do?